Jordyn and Austin’s rustic, coastal Virginia wedding was filled with brightness and laughter. The colorful yellow accents perfectly complemented the bubbly personalities of the couple celebrating. Seriously, they looked like they had so much fun the whole day, it was infectious. They said they wanted to create a fun, exciting, laid back and loving atmosphere and they definitely succeeded. Some of the themed highlights included super fun, unique signs including the perfect cake topper, a delicious taco bar, scrumptious donuts, and lots of fun on the dance floor. When we took the portraits of Jordyn and Austin’s wedding party, we experienced a little déjá vu. We’ve had the privilege of photographing one of Jordyn’s sister’s wedding, another sister’s senior portraits, and we’re excited to be the photographers this summer for another sister’s wedding! These four women and their parents are incredible and have such beautiful relationships with each other. Every time we’re working with them they welcome us in like family. When asked why they chose Cousiac Manor for their venue, they said because it was on the water! It really is a beautiful setting for such a momentous occasion. 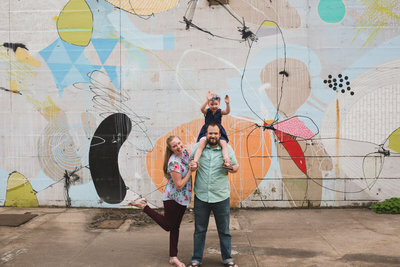 Family support was their favorite part of the planning process (I told you they were the best) and their biggest piece of advice for other couples planning a wedding is to stay focused on the reason you decided to get married! I couldn’t have said it better myself.